What we liked: The pretty dress and suits with lovely details. What we didn't: There wasn't a whole lot new and challenging about the collection. What it made us think of: Asian inspired art in a white, well-lit gallery. 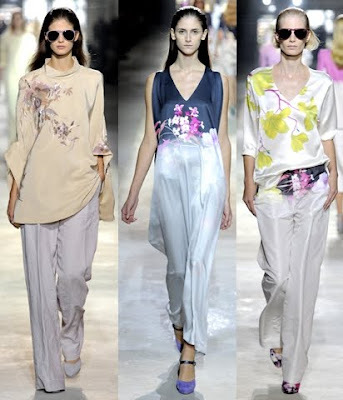 What we didn't: Sometimes the florals got granny, some of the proportions would be hard to wear. 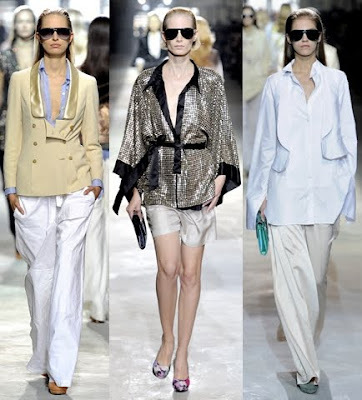 What we liked: Tops, jackets, ruffled and tattered skirts, the swept away look of some of the clothes. I am loving that Olive green dress!!! Stunning and perfect color for fall! !